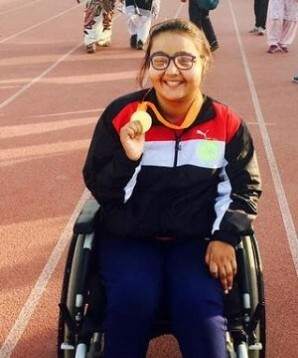 Ekta Bhyan achieved a 16.02-meter pitch and clinching a gold in club throw in the Asian Para Games 2018. India wore gold as a result of the courage of a first-class athlete. The Asian Games held in Jakarta Indonesia opened on October 7 and run until October 16, 2018. The opening ceremony was a great festival with the colorfulness and enthusiasm of such a high-class event. The event was dedicated to the athletes and nations who support the IPC sport. The Indian nation emerged victorious thanks to the tenacity of its athletes reaching a historical record of 72 medals including 15 gold in the Club Throw. 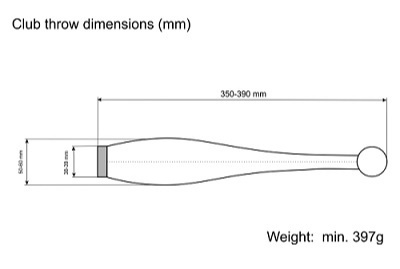 The club throw is an athletic throwing event where the object is to throw a wooden club. The gold girl Ekta Bhyan reached the top of the podium after her third pitch and showed again that the champions of India have tenacity in every way. She surpassed the representative of the United Arab Emirates with a margin of 51 centimeters what in this test is a significant difference. 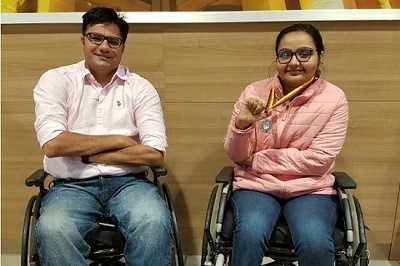 Ekta Bhyan is an extraordinary sportswoman who suffers from paralysis of the lower extremities. She suffered a terrible car accident in 2003 and the injuries to her spine were very serious. The doctors diagnosed her with paralysis of the lower limbs. However, the doctors did not know at the time that this terrible accident would mark the career of a golden girl. Ekta's rehabilitation was a long and hard process. 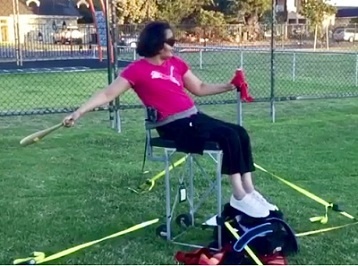 Her physical condition requires continuous exercises to strengthen the muscles of her upper extremities and stimulate the blood supply to her paralyzed limbs. During this arduous process and after 10 years of the accident she got to know the face of Paralympic sport where tenacity is everything. In 2014 she met Amit Saroha, a brilliant GoSports Para athlete. Thanks to Saroha, she discovered a universe full of possibilities and her life experienced a 360-degree turn. Ekta went from exercising to maintain good physical condition to becoming an Asian champion in "club throwing" and "discus throwing". Ekta's sporting career is advancing at meteoric speed. Competitive training began in 2014 and in 2016 she won a silver medal at the IPC Grand Prix in Berlin. Her rapid ascent in international competitions can only be explained as a result of years of hard exercise prior to her entry into the rallys of Paralympic sport. The family of this golden girl is the foundation of her success. After the accident, her parents worked hard for Ekta to enjoy a full life. In order to achieve this goal, they urged her every day to exercise and achieve autonomy despite her disability. Her mother is an example of the important role of women as pillars of society. Thanks to her mother, Ekta never faltered in her efforts to achieve a successful life. In addition, her father showed her that the path to the fullness of life is filled with great sacrifices. A family filled with love and dedication is the perfect complement for the sport's Paralympic golden girl to pay tribute to her country. As a result of her triumphs, Ekta was inducted into the GoSports Foundation's Champions Program for 2017-18. She responded to this recognition with the claw of the champions and brought to India the Gold Medal in the Asian Para Games. The year 2018 has been a year of unstoppable success for Ekta. She winning one Gold medal and one Bronze medal at the World Para Athletics Grand Prix at Tunisia, 2018. Ekta is a young who represents the best of the young women of India. She belongs to the gold generation who from various areas project to the world the greatness of the Indian nation. 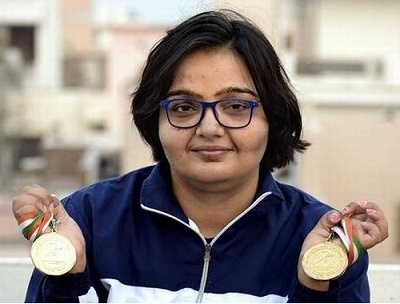 The golden girl in the throw club competitions is much more than an athlete; she is the image of the brave women of India in the 21st century. This generation full of audacity, strength, integrity and unwavering determination transcends national borders and spreads the power of the Indian people with its successes. Ekta Bhyan holds a diploma in English and is a worker for the Haryana Government. The golden girl's sporting talent, academic excellence, and impeccable professional practice point the way to great success in her future. Together with her, a whole generation of successful Paralympic athletes are preparing to achieve the precious Paralympic Games Gold 2020 in Beijing that will set their country's name high.